Celebrate love, rekindle romance and take a break from it all in Lake Lure and the Blue Ridge Foothills. Set the course for a tranquil getaway and explore beautiful sites, natural settings and a diverse assortment of enchanting entertainment. Paint the town with the following guide to all of the fun romantic stops you’ve been waiting for. Arriving at the base of the Blue Ridge Mountains, a hidden gem awaits as you check in and become familiar with your romantic escape. 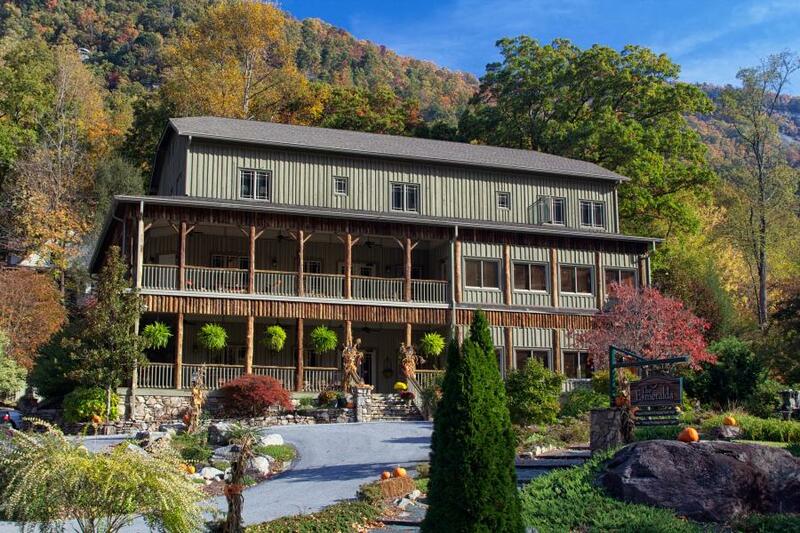 Known for being one of the “Best Romantic Getaways in North Carolina” by Vacation Idea – Dream Vacation Magazine, The Esmeralda Inn & Restaurant, located in Chimney Rock Village, is a peaceful retreat wrapped in rustic charm and sweet amenities. A nature lover’s paradise, this intimate hideaway brings the outside in with stunning log columns, rhododendron railings and hardwood floors reconstructed from the set of Dirty Dancing. Located across from the Rocky Broad River, the inn provides fourteen elegant rooms and three private riverside cabins, all including fireplaces, hot tubs and breathtaking views of Chimney Rock Mountain. 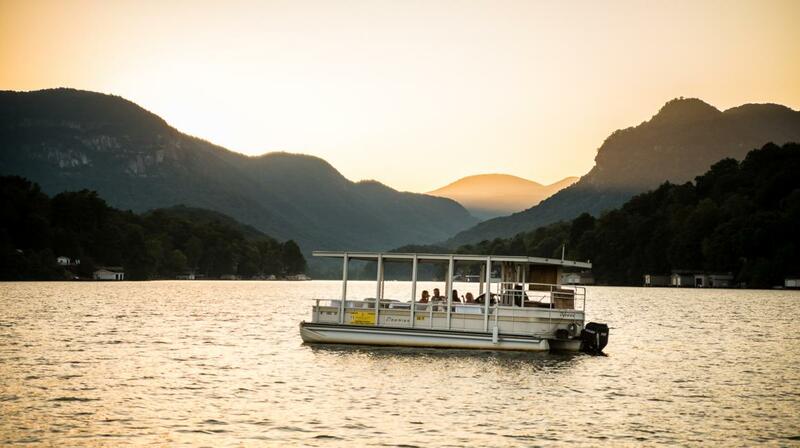 Once you’re settled, head out to the center of town and soak in the natural beauty of the Hickory Nut Gorge on a serene pontoon boat cruise with Lake Lure Tours. Surrounded by a cathedral of mountain vistas, pristine Lake Lure is one of the clearest man-made bodies of water in the country. Snuggle up with your loved one and glide through iconic sights like famous scenes from the movie Dirty Dancing. Listen to legendary stories including the town down under, as you learn about the lake’s history. After the tour, stroll hand-in-hand through Morse Park Meadows located next to the marina and stop at the gazebo for the perfect picture as mountain vistas stage your backdrop. Continue along the park trail to a sensory landmark boasting over 700-species of plants and flowers creating a lavish walkway known as the Lake Lure Flowering Bridge. Overlooking the Rocky Broad River, this pathway has captivated visitors since opening in 2013 and delivers a whimsical gateway to Chimney Rock Village. As evening rolls in, enjoy an enchanted dinner overlooking the lake at La Strada Italian Restaurant. Located across the boardwalk stretching from the marina, the menu offers something special for all taste buds and views from every seat in the house. Enjoy a lovely table on the outdoor patio and watch the boats drive in and out of the cove as you indulge in baked pasta creations, New York style pizza, and specialty desserts. Wake up and get ready to relax and be spoiled! Begin with breakfast inside an inviting, casual atmosphere that takes pride in providing guests with quality cuisine delightfully crafted to fit all seasons. Located steps away from your room, The Esmeralda Inn Restaurant provide an assortment of homemade dishes prepared fresh each morning. Create a plate of locally sourced products and take in the natural landscape surrounding the lodge. Then, it’s time to be pampered at the 1927 Lake Lure Inn & Spa. With state-of-the-art treatment rooms, their Irongate Spa is a rejuvenating dream. Couples can combine a signature facial and fifty-minute body treatment for the simple pleasure of unwinding to relieve stress and tension of the daily grime. Add on hot stones or aromatherapy wraps for the ultimate in relaxation. Next, grab lunch at the Old Rock Café, located in Chimney Rock. On most days the deck out back is the perfect spot to listen to the river flow by while fueling up on fresh salads, award-winning burgers and grilled sandwiches. Then head down below and walk it all off along the Rocky Broad River. With access points along the left side of Main Street in Chimney Rock Village, the Riverwalk connects you with nature along a lovely walkway stretching behind restaurants and shops offering benches, bridges, and plenty of rocks to climb on and relax. For adventure seekers hit the woods at Chimney Rock State Park. 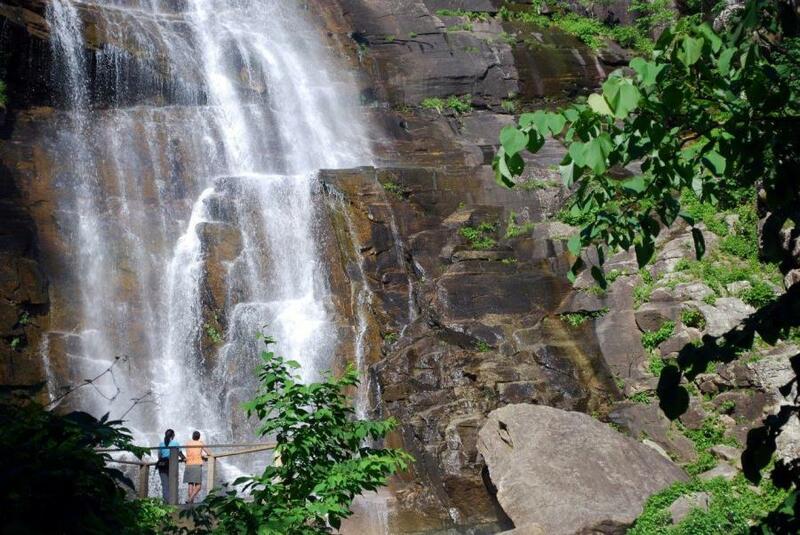 Known for its 75-mile panoramic view and hiking trails for all ages and abilities, a hike to the 404-ft Hickory Nut Falls will make you fall in love all over again. While in the neighborhood, stop in for a cold one at Hickory Nut Gorge Brewery and enjoy the multiple decks leading down to the river. It’s the perfect spot to sit back and view the granite cliffs above while sipping on unique craft beers featuring local ingredients and enjoying light bar snacks. Don’t miss the eclectic shops within the village where souvenirs, quirky gifts, and homemade treats are great mementos for your trip. For dinner, watch the sun set behind the mountains. Leading the way in high quality cuisine, Point of View Restaurant is dedicated to serving fresh, made from scratch entrees that are second to none. From the polished wait staff and impeccable dishes such as the Prime Rib, Mountain Trout, and Shrimp & Scallops; to the ambiance and a spectacular view of the lake, the days venture comes to an end in pure romantic bliss. Start the day off with a cozy breakfast for two in the heart of Chimney Rock Village at Medina’s Village Bistro. You can smell the world famous cinnamon rolls from a mile-a-way! Enjoy sought-after items like the Royal Breakfast Hash-Casserole, homemade biscuits and gravy, and traditional eggs and pancakes. If you are visiting on a Sunday, opt for the favored brunch at Veranda Restaurant. Serving up a delightful buffet of cooking stations creating omelets your way plus, hearty carved meats, a decadent chocolate fountain with fresh fruits, an assortment of breakfast items and homemade baked goods. Splurge on Bloody Mary’s and mimosas at either location to kick start your morning. More exciting activities await! 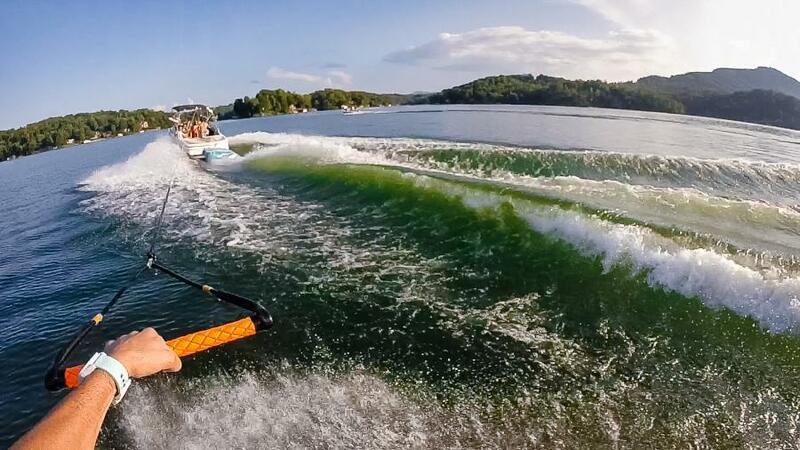 Explore the lake in a kayak or on a paddleboard with Lake Lure Adventure Company. Soar through the trees on a zipline experience at Canopy Ridge Farm. Take joy in a one or two hour trail ride by horseback at Riverside Riding Stables. Or swing into action with an 18-hole round of golf on Bald Mountain Golf Course at Rumbling Bald Resort. Whichever direction your journey takes you, an afternoon bite at Legends on the Lake is a must. Guaranteed enjoyment, the newly reconstructed restaurant overlooks the beach at Rumbling Bald Resort and sets the stage for the perfect mid day break indoors with games, flat screen TV’s and leather lounge seating. Satisfy your cravings with house-made appetizers, legendary sandwiches, and classic salads. Afterwards, check out the shores of Lake Lure along the beach of the resort. Before the sun sets, soak up an intimate moment in the woods on Dittmer-Watts Nature Trail, a laid back walk spanning 3.3 miles, is an ideal pathway for bird enthusiasts, couples and pet owners. Then, take in the view one last time and relish in a premier dining destination overlooking Lake Lure at Larkins on the Lake. Choose from the upstairs main room or outdoors on the patio at the Bayfront Bar & Grill. Featuring an exceptional dinner menu including crab nachos, steaks, short ribs, salmon and mountain trout paired with a superior wine list and select cocktails. Start the journey out of Lake Lure towards Rutherfordton, home to Christopher Bechtler, the man who minted America’s first one-dollar gold coin. Along the way stop in at Gardenwoods, a home, garden and gift shop filled with a variety of one-of-a-kind finds. While you are there, stop inside the Garden Café and enjoy homemade breakfast items. Enjoy your meal in the comforts of the dining room surrounded by local works of art or dine Al Fresco on the cover patio. Once in Rutherfordton, walk off the fullness with a stroll in downtown and discover walking tours like the Historic Walking Tour, which includes the Bechtler House, specialty shops and art galleries including Victorian Lace Antique Mall, Michelle Parisou, The Gallery and Art at the VAC. Then as you depart, hop on the Cherry Bounce Trail. Steeped in gold rush history and moonshine, the driving tour explores layers of South Mountain views winding you through the countryside of Golden Valley. Pastimes in this area were filled with manning cornfields and cherry trees leading to a legendary moonshine industry, which can be discovered along the trail. Stop at Rutherford County’s only distillery, makers of Defiant Whisky, for a closer look into the spirit of these parts. Continue along and you’ll stumble upon the oldest continually family ran general store in North Carolina. Five-generation family business Washburn’s General Store has it all from old-fashioned candies and glass-bottled Coca-Cola to homemade, hard-to-find goods. Grab a sandwich to go or head to Main Street in Forest City where a variety of eclectic shops, boutiques and southern dining await. Guests visiting our area when it’s just not warm enough to get on the lake or enjoy other outdoor activities will love our driving tours. Scenic routes throughout Lake Lure and the Blue Ridge foothills provide wonderful options to choose from. Explore the Blue Ridge Parkway and discover a bounty of waterfalls, peak at the stunning lakeside homes and natural vistas along the Lakeview Tour, immerse yourself in vineyards and sample locally grown grapes on the Wineries of the Blue Ridge Foothills Tour, or explore historic sites including the NC Gold Trail and an old moonshine route on the earlier mentioned Cherry Bounce Trail. As romance fills the air, fill your travels with natural beauty and scenic views. 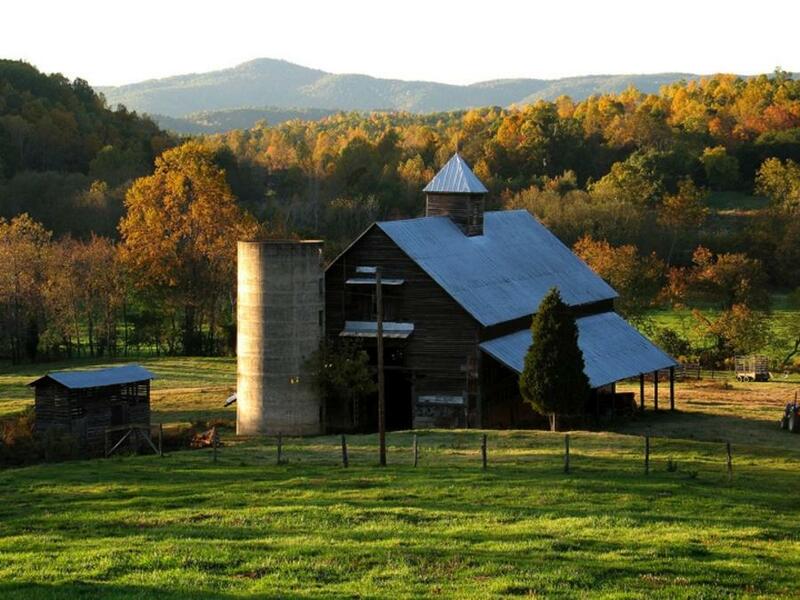 Embark on the adventure of getting lost in the mountains of Western North Carolina! 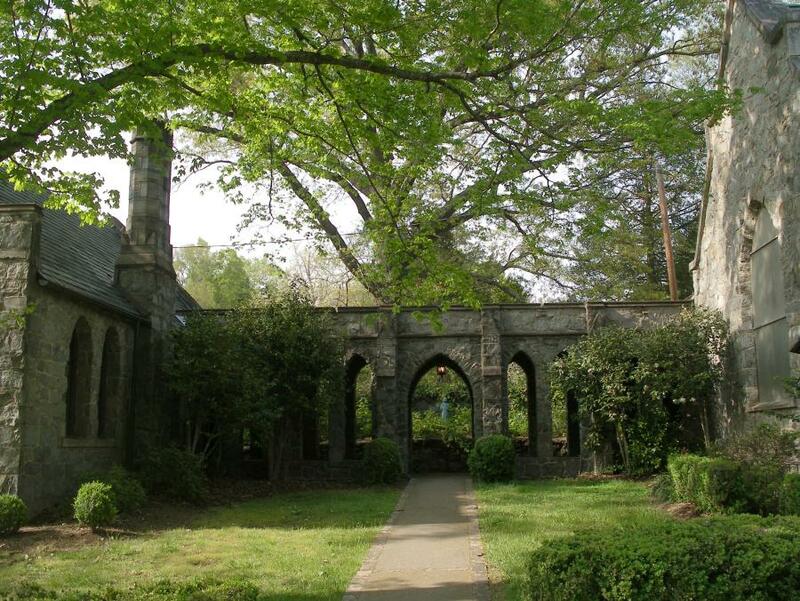 You can explore even more trip ideas at www.visitncsmalltowns.com.